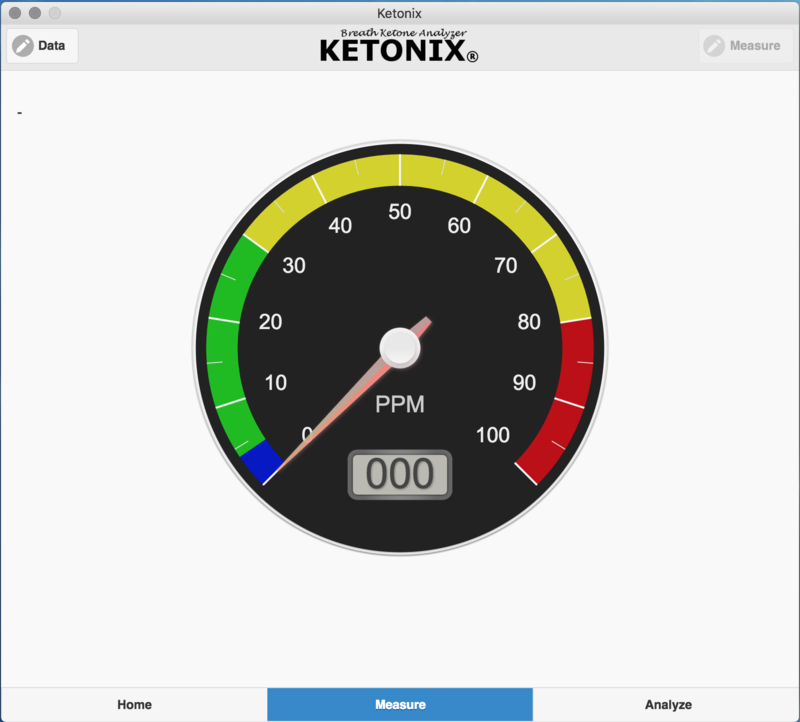 Ketonix Desktop Software for macOS, now with support for the new Ketonix® Bluetooth® model. This version contains bug fixes and general enhancements. The Bluetooth Smart protocol means you do not have to pair it to use the app. Just open the app, select your device and go! 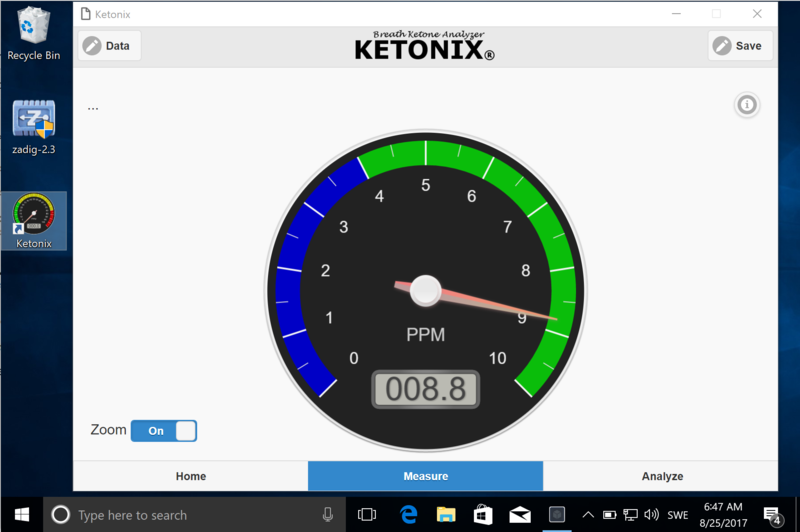 The Ketonix® Bluetooth® model have built in hardware and software that calibrates the device automatically. This is why "Settings" is not available when using the Ketonix® Bluetooth® model. Does this work on your Mac? Well it needs Bluetooth 4.0 supported hardware. The Mac mini and MacBook Air where both updated with Bluetooth 4.0 support in 2011. The Mac Pro added support with the new black model in December 2013. You can check for yourself if you're not exactly sure which Mac model you have. Click on the More Info... button. Click on the System Report... button. Select Bluetooth from the sidebar on the left, underneath "Hardware." 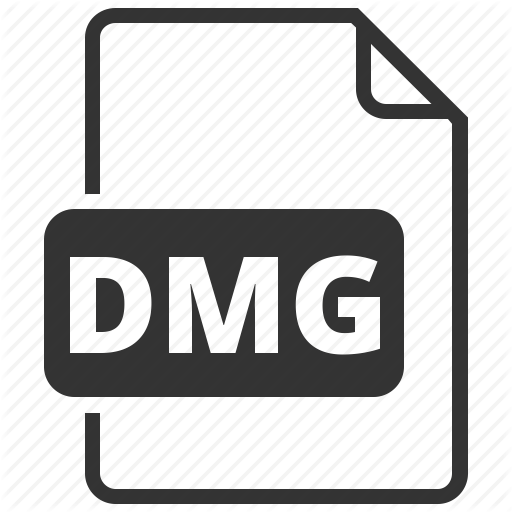 Scan down the list of information until you find "LMP Version." If your Mac is equipped with Bluetooth 4.0, LMP Version will say 0x6. Anything lower than that is an older version of Bluetooth. Remember, if the Ketonix app on your phone is connected to the Ketonix device, it will not show up in your desktop software and vice versa. It can only be connected to one app at any time. Also keep an eye out for updates, this is 2.5.1. It will likely be updated soon. 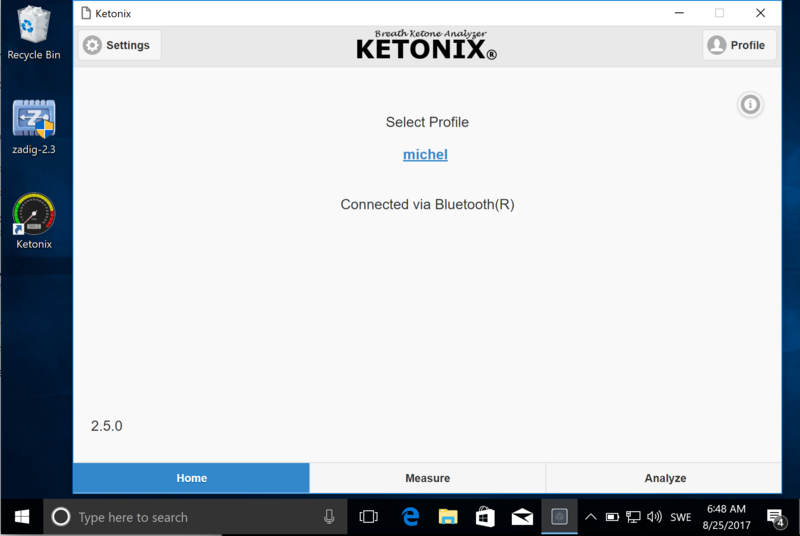 This is Ketonix Software 2.5.3 for Windows with support for Ketonix® Bluetooth® and Ketonix® USB devices. This software does only work for Windows 7 and later versions. NB: To access Ketonix® Bluetooth® devices from Windows you need to replace the driver for your Bluetooth device on your Windows computer. If you don't have/use a Ketonix® Bluetooth® device you do not need to replace the driver for Bluetooth on you computer. The recommended use for a Ketonix® Bluetooth® device is using a mobile device. Replacing the Bluetooth® driver might break connections to other Bluetooth® devices you use with your Windows computer. Be sure to take a backup of your machine before changing any drivers. Ketonix AB will not take any responsibility whatever when you alter your drivers in your computer. You are warned. If it does not work as you expected, you need to recover your machine using a backup. We can not help you with restoring your computer from a backup, so contact your IT support for doing this. So, to use your Ketonix® Bluetooth® device with a Windows machine, you need to use a tool called "Zadig" that replace the device driver for your Bluetooth® module in your machine. Be patient when starting the software, on the Windows platform it takes a while to start the software. This is 2.4.4 version of Ketonix Software. I highly recommend upgrade to this version. It's compatible with Ketonix Red/Blue (the 2015 version) and the new Ketonix USB (2017 version). values as Ketonix Units (percentage of sensor measure). The PPM value is a exponential function of the old units. The manual pages are work in progress and will improve over time. They are accessible from the software (the little (i) icon). This version also allows to import data from the previous Java version .csv file. NB. There is no "Start" button, only a "Write Measure" button up in the right corner (PEN + Measure = Write Measure). This is 2.4.4 version of Ketonix Software for Windows. NB: This version does not support the new Ketonix® Bluetooth® model yet. There is ongoing work to add the support for the Bluetooth® protocol. The manual pages are work in progress and will improve over time. They are accessible from the software. ​KETONIX® is a Non Invasive Class I Medical Device, registered at FDA (US) and Läkemedelsverket (SE).